Free Shipping Included! 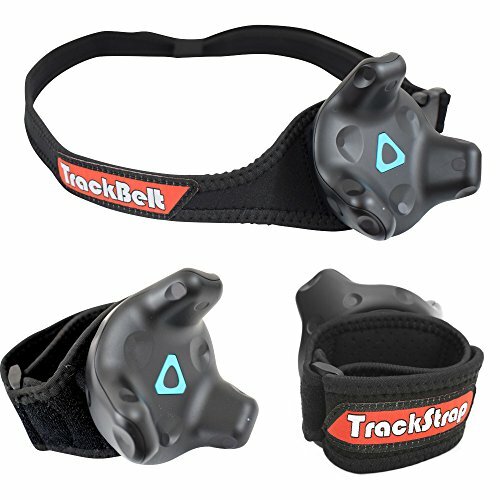 Rebuff Reality TrackBelt + 2 TrackStraps Full Body Tracking VR Bundle by Rebuff Reality at Kode Fu Guru. MPN: STS2TB1. Hurry! Limited time offer. Offer valid only while supplies last. Combine with 3 VIVE Trackers (sold separately) to achieve full body tracking in a wide variety of VR games and applications such as VRChat, High Fidelity, Final Soccer, and more. Patent-pending innovation made of breathable elastic neoprene that's comfortable yet grips on any surface and shock-resistant silicone padding to absorb impact vibration. Ultra high-quality construction durable enough for long VR sessions and the vast majority of foot and shoe sizes. Finally experience true full body tracking in VR, you are now more than just a floating head and hands. Also works great with various leading Motion Capture software. If you have any questions about this product by Rebuff Reality, contact us by completing and submitting the form below. If you are looking for a specif part number, please include it with your message.